Better Life Blog: Blogging Project... BEGIN! My name is Rebecca and I live in Southern GA (at the moment). I'm married and have a little boy born October 2009. A few months before Jonah was born, a small business opportunity fell into my lap. Unhappy with the diaper bag options I saw in the stores, I decided to make my own. I posted pictures of it on Facebook and soon was asked to make a few to sell! Those first buyers were so happy to be able to buy a bag with their custom colors/prints. SO, Better Life Bags was born. 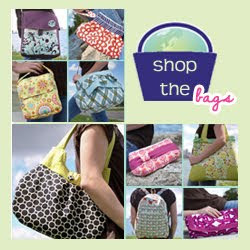 We specialize in making handmade custom diaper bags, purses, and baby items. We set ourselves apart by giving all proceeds to those in need (usually through www.kiva.org). Check us out at www.betterlifebags.etsy.com! 2. Spend less time on my computer and more time crafting, reading, and playing with my baby boy. 3. Develop deeper relationships with my family. 4. Figure out if I can MAKE something before I BUY it! I figure 4 goals is plenty. I've seen a lot of people posting their top 10 goals for 2010, but this seems insurmountable for me. 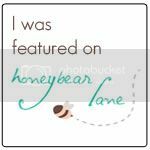 So, there you have it - my first post on my new blog... no crafts to show for this one, but I have TONS of ideas up my sleeve (many are inspirations from other blogs)! Speaking of... what are some of your favorite craft blogs out there?! Im so glad that youve come and joined the blog world! I just LOVE your bags and if i fizz out on trying to make my own im just gonna have to get some of yours to model! I share a resolution with you!! : try to make it first. Hope to see you post again soon!